There's a lot more to Mad Max than meets the eye. When I first booted up Mad Max, my plan was just to make sure it ran well on my system, then jump back into Metal Gear Solid V and play it to completion. Weeks later, when I finally brought Mad Max to a close, I realized I had forgotten all about Hideo Kojima’s magnum opus. Few people played Mad Max, and those who did gave it poor marks. That’s unfortunate, because I think Mad Max might genuinely be one of the best games I have ever played. 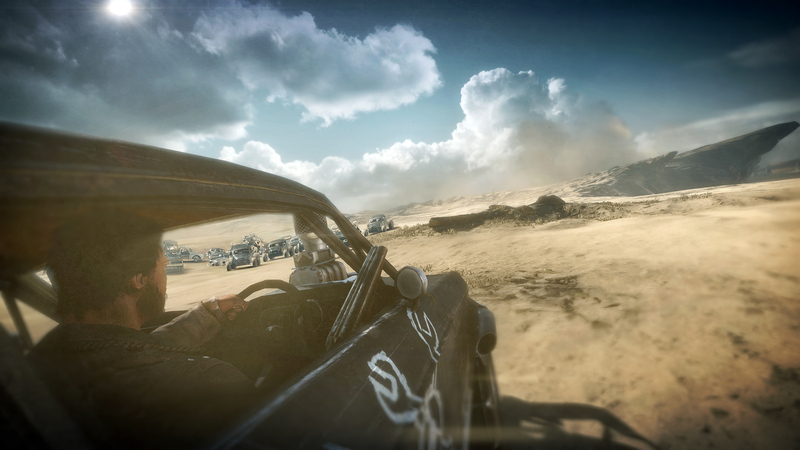 At first glance, Mad Max looks like your average, boilerplate sandbox game. The standard Assassin’s Creed-style towers have been replaced with balloons, but they’re functionally identical. Drive around the world completing minigames and clearing out enemies to take over sections of the map. Play the story missions, do some sidequests, free up the map, and eventually you’re done. Nothing surprising, right? These mechanics are typical of any major open world series. If you’re willing to dig, you’ll find that there’s a lot more to Mad Max than meets the eye. Mad Max begins with the eponymous Max losing his car to Lord Scrotus, but not before lodging a chainsaw blade in the giant mutant’s head. Stranded in the desert, thirsty and alone, you meet a dog. A disfigured hunchback traps the dog shortly after your meeting, planning to eat him for dinner, but you’re able to rescue him. The hunchback, named Chumbucket, introduces himself and his mission: to build the perfect car, the Magnum Opus. Max wants his car back because he intends to cross “The Plains of Silence,” a vast desert, in the hopes of finding peace on the other side. The two strike up an uneasy alliance and get to work. Motive is a crucial component to any good game. Some games, like Mass Effect or Halo, begin with a sense of mystery. Other games rely on personal feelings, like rescuing a friend or loved one, or getting revenge against someone who has betrayed and hurt you. Good games make this central to the player’s narrative journey, but great games make this central to the mechanics as well. Mad Max is definitely one of the greats. Max’s motive is to get his Interceptor back so he can cross the desert. There’s an element of revenge here as well; it’s not just that Max lost the Interceptor, it’s that Scrotus took it from him. If the car had simply died, most people wouldn’t care much about Max getting a new car. Because Max suffered the indignity and injustice of having his car stolen, players will be rewarded with a sense of satisfaction for defeating him. Get stronger, defeat Scrotus, and take back the engine so you can take your journey across the Plains of Silence. Every single mission in the game is about upgrading the Opus in some way. Want to get to Gastown? Well, you’ll need to tear down the massive gate called the Jaw, and to do that, you’re going to need to upgrade your harpoon. You rarely feel like you’re doing busywork for someone else because the game wants you to; every single mission in the main game works to maintain a sense of forward momentum right up until you get the V8. The Mad Max film series is about cars, and the game is no exception. You’ll spend much of your time behind the wheel, blasting through the desert, boosting over awesome jumps, taking down enemy convoys, and, occasionally, racing for parts and prestige. The game’s post-apocalyptic setting is a great place for this kind of gameplay; you rarely have to worry about hitting oncoming traffic or accidentally running into something that kills all your momentum. If you want to go somewhere, you just have to point yourself in that direction, hit the boost, and get moving. The Opus handles magnificently, and every single modification to the car makes a meaningful difference to handling and speed. Mad Max excels is in its willingness to say nothing. Where Mad Max really excels is in its willingness to say nothing. Too many games have a bad habit of putting exposition in every little nook and cranny; time is often wasted on unnecessary lore. Some games go too far in the opposite direction, saying nothing at all to create the appearance of mystery or substance. Mad Max is content only to speak when it matters. One of the characters, Jeet, clearly knows and dislikes Chumbucket, but no one takes Max aside to explain the particulars of their relationship. Mad Max is content to convey only the information you need to know; the rest is used not to craft the appearance of mysteriousness, but to create a sense of naturalism. Few games attempt naturalism in this way. Max’s story reflects his personality; he’s a man of few words, so he doesn’t waste time interrogating random strangers about their personal history. All he cares about is the car. Sometimes, he finds notes left behind by people during the apocalypse, but these notes don’t exist as exposition, they exist to characterize. You might find a note that says “hey, I found a great place to hide,” with an attached and faded photo. Max chuckles and states that no one in their right mind would hide there now. By emphasizing tone over exposition, Mad Max establishes a masterful sense of mood. The notes you find are rarely more than a couple sentences long. When we think of environmental storytelling, we tend to think of overt messages like people writing things like “Remember Citadel” in their own blood, or a dead NPC next to some debris. Mad Max takes environmental storytelling to its logical extreme. It’s all desert, but each location is quietly different. The Great White is location characterized by lighthouses, whale skeletons, and ship, While The Dead Barrens is characterized by cracked asphalt roads and the telltale reddish hues of iron-rich rock. Each of the game’s 18 regions has its own distinct personality, even if it all just seems like boring desert at first. As you explore, you begin to learn the finer details of these regions. The more time you spend in them, the more you begin to see the bones of a completely cohesive world. Mad Max’s world is big enough to feel true to life, which isn’t something you see a lot in games. Skyrim’s supposedly huge Skyrim is, in-game, about half the size of Liechtenstein, one of the smallest countries in the world. Grand Theft Auto V’s Los Santos is around 21 square miles. Los Angeles, the city Los Santos is supposed to reflect, is over 500 square miles. 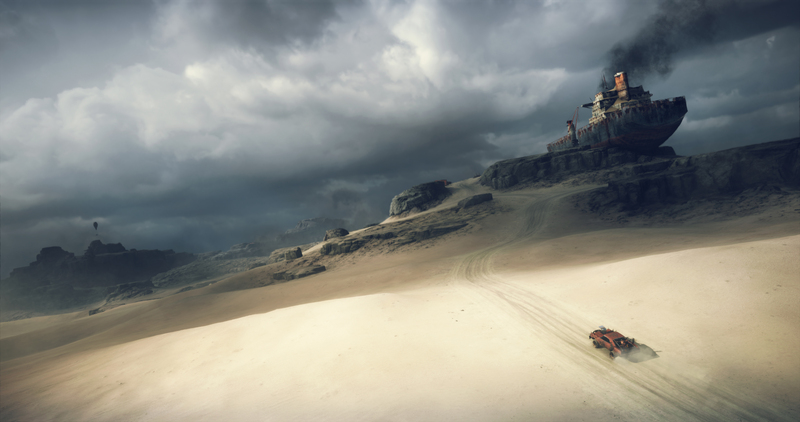 Mad Max can get away with having a true-to-life scale because most of its map is a huge, open desert, which players navigate almost entirely by car. This does something fascinating that I’ve never seen in another game before: it lets players piece together the history of the world just by looking at it. As you drive through the world, you’ll find remnants of the past. Out in the Great White, you can find the remnants of a pipeline. This pipeline leads back to the coast. Gastown is a former refinery, dominating the skyline even more effectively than Calamity Ganon in Breath of the Wild. Small towns populate the wasteland between Gastown and the ruins of the docks where the oil tankers would dock. You’ll find ruins of oil tankers too. The ruins of lighthouses dot the former coast. A large, presumably international airport is buried in the sand dunes to the East. So much of Mad Max can be spent just asking yourself what something used to be and how it was repurposed over time. I’ve explored plenty of games in search of treasure, but Mad Max is the only game I’ve ever explored because I wanted to understand the history of its space. It is one of the least-gamified locations I’ve ever explored in a game. There’s something awe-inspiring about a world that feels completely real. Many of the game’s objectives are repetitive in terms of their goals: you attack the enemy bases to either kill everyone inside or kill everyone inside and blow up oil pumps or gas cans. However, the locations are all distinct that it doesn’t matter. One enemy base is set on a ship, surrounded by oily mud, while another is set on a bridge and can only be approached from two angles, and another can only be accessed by ziplining from one point to another. Each location feels unique, even when it reuses assets; clearing the last base felt just as engaging as the first. Of course, great world design and great motive is all well and good, but a game is nothing without great mechanics, and when it comes to mechanics, Mad Max delivers. I’ve explored plenty of games in search of treasure, but Mad Max is the only game I’ve ever explored because I wanted to understand the history of its space. On its surface, Mad Max borrows from another Warner Brothers series: the Arkham games. X to punch, Y to counter, you know the drill. However, it has several key differences that make it way more interesting. First, there’s the health system. To regain health, players must either find food to eat--and the only food you’ll find is dog food and maggots--or water to drink. Drinking is a manual process, where you hold down a button, draining the water meter in your canteen as you fill your health meter. There is no other way to regenerate, no armor to be broken, and no grappling hook to help you escape like in the Arkham games. Combat itself is wonderfully brutal. Mad Max is the only game I’ve played where each fight felt like the characters involved were fighting for their lives. When Max enters fury mode, it feels less like a cool powerup and more like a second wind of a man desperate to survive. Punches have a real sense of impact and bones crack with a brutal crunch. Strangest of all is the fact that Max only has one permanent weapon: a shotgun made out of scrap. It is inaccurate and carries precious little ammo, which means that every shot you take is a calculated risk. You can carry homemade shivs too, but they break after a single use, and the melee weapons you pick up in the environment are powerful but prone to breakage. The brilliance of Mad Max’s gameplay is in the way every action is an opportunity to make a thoughtful decision. Do you spend a bullet here? Can you take on a foe there? Sometimes you need to prepare, luring enemies into an explosive trap. If you see someone dying in the desert, do you give them some of your precious water, or do you keep it for yourself, knowing you may need it in a fight ahead? I couldn’t break into one location because I had used my jerry can to fill the Opus’ gas tank instead. Mad Max makes you think. That’s the key to its success. As you explore its world, you start wondering why things are what they are, or what things used to be, and if you try, you can piece things together. When you engage in conflict, you must be thoughtful about how you fight; there are no easy escapes, and supplies are limited, even when you’re fully upgraded. Then there’s the writing. Mad Max is one of the best-written games I’ve ever played. Characters have developed their own vernacular, and it never feels cheap, as many post-apocalyptic games do. Chumbucket speaks with a religious fervor that drifts between post-apocalyptic survivor and Dark Ages religious peasant. Characters relay their relationships through their dialog and attitude. Chumbucket is the best of these characters. For most of the game, he rides with you in the car. If you’re separated from the Opus and you want it, just fire a flare and Chumbucket will bring it to you. He’ll warn you of oncoming dust devils or shout with joy as you rocket through the air. One of the big challenges of a driving game is providing meaningful feedback to players as they drive; Chumbucket’s cries are the perfect way to provide great in-universe feedback. When the Opus is damaged, Chum will warn you about its health, and if you stop the car, he’ll repair it. If you want to use the Opus-mounted sniper rifle to tackle long-distance targets, he’ll jump into the driver's seat and move the car as you order. Without him Mad Max is a far less interesting game. Chumbucket’s presence is essential to the overall experience; the threat of losing him near the end of the story is made poignant by the relationship you’ve developed with him over the course of the game. Like Fury Road, Mad Max characterizes Max through his actions more than his dialog. It’s a tragic story, and Max is a tragic figure. The game’s ending is completely true to the character, and left me with a wonderful sense of melancholy when it was all over. Max got what he wanted, the perfect car and his trip across the desert, but I’m not sure the price is one I wanted to pay. 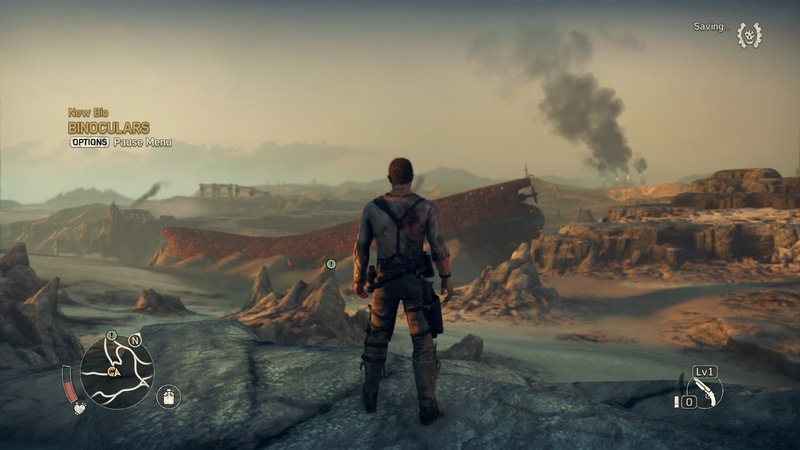 Games often try to end by pumping up the player; Mad Max tells a Mad Max story. 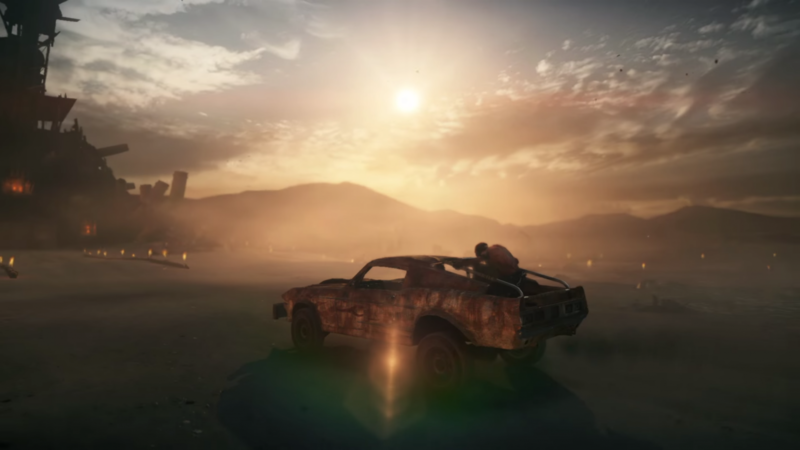 At first glance, Mad Max might seem like just another open world game, but it’s so much more than that. It’s a brilliantly-designed, absorbing open world game with fantastic storytelling. If you ever find yourself craving more Mad Max in your life, play the video game.